We know Sen. Phil Berger, perhaps the most powerful lawmaker in North Carolina politics, can speak. If there’s a piece of legislation in the last five to ten years that advanced without the Big Berger’s caustic input, I can’t name it. But can Sen. Berger listen too? Can he hear any voices outside of the GOP caucus, where Republicans appear content to rest on their extraordinarily modest laurels with respect to public education, despite yet another looming K-12 protest on the steps of the Legislative Building? Chances are slim if we’re to take Berger’s word for it. The Rockingham County Republican fired off a statement last week dismissing next month’s march as a political stunt, the machinations of the (supposedly) inextricably intertwined Democratic Party and N.C. Association of Educators. 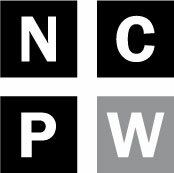 Certainly, the NCAE’s agenda is a progressive one, and it tends to side with Democrats over Republicans. And while we don’t yet know the tone of the May 1 rally – initial press clippings hint at a broader agenda, touching on living wages, voucher spending and even Medicaid expansion – last year’s protest, at times, had the trappings of a toast to Roy Cooper. Yet Berger and company’s patronizing view of the educator protests isn’t aimed so much at the marchers themselves, those who understand the inherent patriotism of civic action. The senator is targeting the onlookers and the unengaged, those who may spy the clamor and wonder if there really is something to this river of red in Raleigh or the phenomenon of numerous North Carolina school districts who – facing a dearth of teachers on May 1 – are opting to close for the day. “How do you think it makes us feel when you’re paying out of your pockets to fund your own classrooms?” Sadie Simmons, a kindergarten teacher for 42 years, told Policy Watch last year. It’s difficult, if not impossible, to imagine Simmons thought much of Democrats or Republicans when she began forking over cash for pencils and papers and laminate. Berger isn’t dim. He doesn’t believe that every one of the 20,000-plus who beat a path to Raleigh last year is a partisan rube. 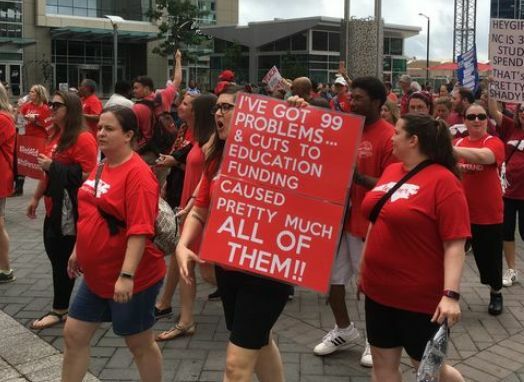 And, in North Carolina, Democrats have surely struggled to muster the kind of energy and passion that pervaded last year’s march in Raleigh, fueling a throng that snaked from the Legislative Building to the NCAE’s headquarters nearly a mile away. Last year, 42 districts shuttered during the April rally, and more than half of the state’s students saw classes canceled. By Friday, nine districts had already canceled in advance of this year’s march. Critics, mostly Republicans like Berger and state Superintendent Mark Johnson, pounced on the closures, casting protesters as irresponsible extremists, unconcerned with the loss of instructional time for students. But there’s a fetid irony to the criticism. We’d be loathe to forget it’s lawmakers like Berger – one principal architect of the state’s scurvy budget cuts to classroom supplies, textbooks and teaching assistants – who raided K-12 spending to finance billions of dollars in tax cuts. Republicans should aim their misguided bombs elsewhere. Demonizing Democrats and the NCAE is one thing, but demonizing the teachers of North Carolina – surrogate nurses, guidance counselors, therapists, role models and parents to millions of our state’s best – North Carolinians won’t stand for it. Teachers have neither the time, the resources nor the inclination to be partisan operatives, to fret over pollsters, pundits and platforms like they do class size, pencils, testing, performance grades and the like, not to mention the rising health care premiums that devour those pay raises lawmakers are so quick to tout. Certainly, legislators deserve credit for their efforts to boost North Carolina’s standing. A March report found the state had surged to 29th in the nation in teacher pay, good for second in the southeast. But the grandstanding – GOP legislators called it an “impressive accomplishment” to rise from 47th to 29th in a matter of five years – hits a sour note. It’s like knifing someone’s tires and then bragging when you fix the flat. And, amid their willingness to play shell games with class supply funds, their lustful budgeting of a ballooning private school voucher program that’s already overfunded, and their dogged determination to preserve tax cuts at all costs, perhaps no one in North Carolina has been failed more egregiously by legislative leadership than teachers and students. No, Berger and company would be unwise to attribute their lingering teacher problem to partisan mischief. And if the senator and his cohorts can’t hear these voices, if the din doesn’t reach into the crimson floor of the legislative chamber, those gathering must only turn up the volume.